Without question, PicCollage was the ‘breakthrough’ app for our early years educators. It was the first app they felt confident using independently, and it featured prominently on many classroom blogs over the course of the year! In Year 1 Geography, the students were tasked with identifying features in their natural and built environment around the school, using PicCollage to record their findings. 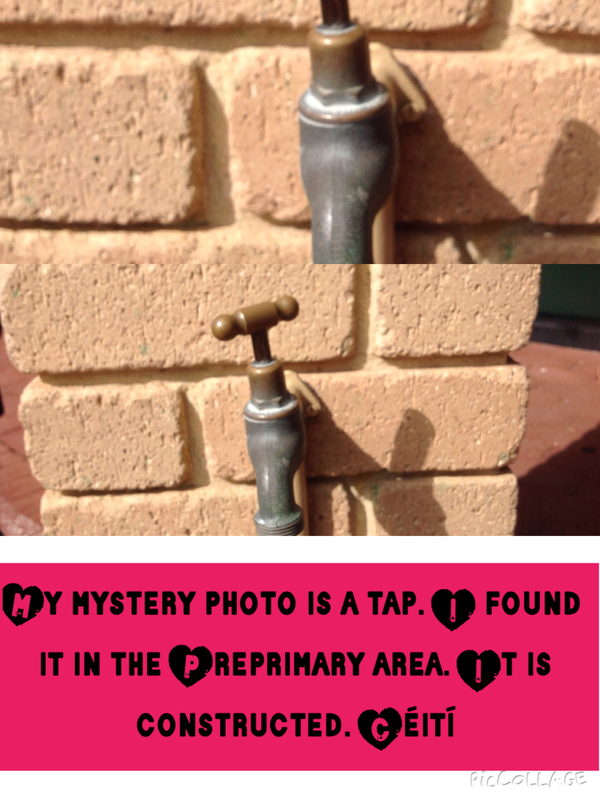 As part of the Student Blogging Challenge, as an introduction to PicCollage, our students were asked to photograph & share their favourite parts of their school. We had students visiting the Art Room, Chapel, Library, Oval, and more. We taught them how to take photos, and the bare basics of PicCollage – with an expectation that they work it out for themselves. They did so with gusto, discovering features of the app that I hadn’t realised existed. 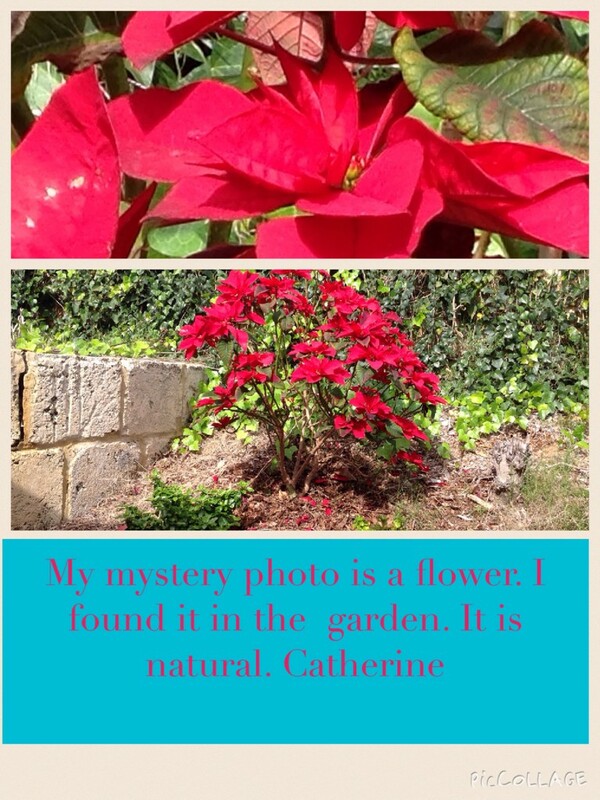 Later in the year, the Year 2 teacher decided to integrate PicCollage into her poetry unit. 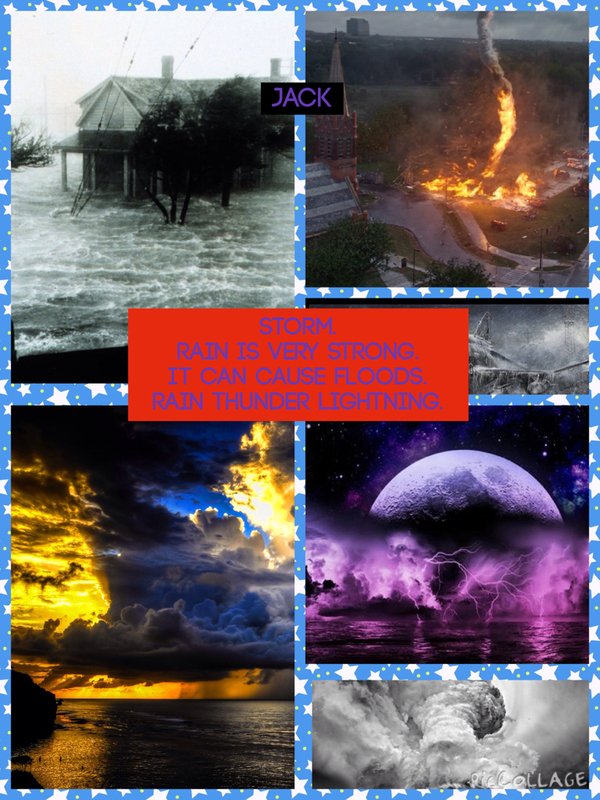 We taught the students how to use Google Image Search by License to find Public Domain images, and they created amazing PicCollage Haikus for the Open Night displays. They looked fabulous! PicCollage, or the ad-free version PicCollage for Kids, is a simple, yet powerful iPad app which can be integrated into almost any learning area. 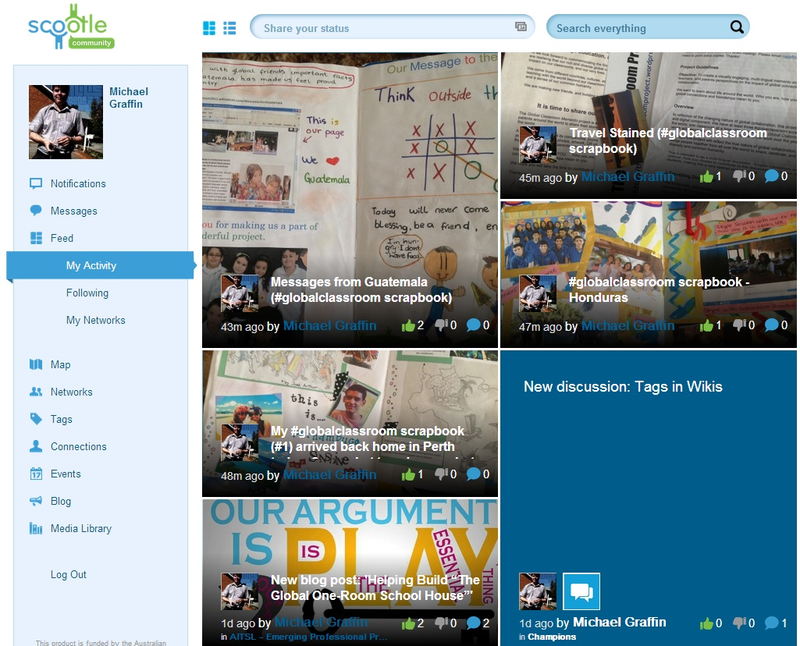 Students can use it to document their learning, and once you’ve taught them how to share their collages (via AirDrop / Dropbox / Google Drive), they can be very easily printed for classroom display, or posted to your classroom blog. 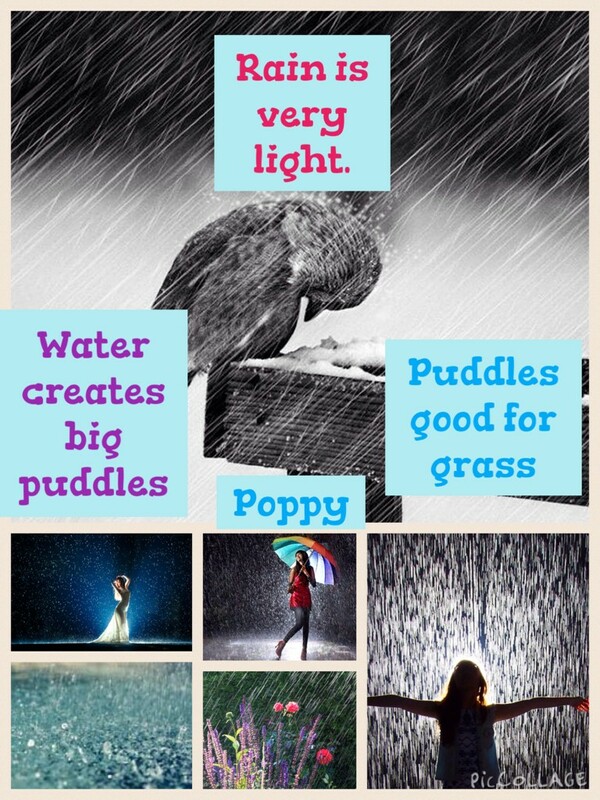 I’d especially recommend PicCollage for teachers starting out with iPads / mobile devices. One of my many jobs this year has been the rollout of my school’s iPad program. Working in close collaboration with my colleague, who works as a part-time IT technician, and the school administration, I’ve learnt some valuable lessons about iPad VPP management, and explored effective pedagogical strategies for integrating iPads into K-3 classrooms. 1) Technical iPad management has come a LONG way since 2012. While many people know of my work as a Research Assistant on the TIPS2012 iPad Project (Edith Cowan University, 2012), not many are aware of my other role – as the poor guy tasked with the technical setup and management of 120 iPads for the School of Education. These were the days before the introduction of the Volume Purchasing Program for Australia, and before the development of Apple Configurator … and to put it mildly, it was an incredibly time-consuming and tedious process. Fast forward to 2014, and the discovery that my school uses the Meraki Mobile Deployment Solution from CISCO. Now, I rarely promote products on my blog, but I can honestly say that Meraki is a true time-saver – and well worth whatever it costs to use! While it takes at least 20 minutes / device to install the Meraki profile on the iPads (if all goes well), the time savings lie in the ability to remotely purchase and push new apps onto selected devices over WiFi. This is the one caveat of using Meraki – you must have excellent WiFi bandwidth for it to be effective. As I discovered, it also pays not to try and remotely deploy apps to 60 iPads off the one router (for first time setup). Downloading 10GB+ of new apps / device is not a good idea. Placing the iPads around the school, and checking that apps are downloading properly is the way to go. 2) Your choice of iPad case and charging solution matter. Our school went down the road of centralising iPad charging in one easily accessible (secure) room in the school, rather than charging small numbers of iPads in each classroom. Some people I have talked to (outside the school) are not keen on this approach; however, it seems to be workable for our school context. While classroom use is currently limited to ICT lessons & Integration sessions, this is primarily an indicator of teachers’ confidence – which is something we will be working to develop next year. On the issue of iPad cases, my personal preference is the STM Skinny case, which is durable, protective, and most importantly – light. Our new school iPads came with the STM Dux case, which has a high drop protection rating and an (admittedly useful) clear back. Unfortunately, I am not joking when I say that these cases took, on average, 3 minutes to install per device, and the ends of my fingers hurt for days afterwards. They are also extremely heavy, especially for small children, as well as the teachers trying to carry a box of five. I am hoping that we take this into consideration when we expand the iPad program in future years. One of the challenges of establishing a school iPad program is planning and communicating what kinds of apps will be purchased, and whether the school or classroom teachers pay for them. From the outset, I argued for a focus on creative rather than skill and drill apps, a position supported by my administration. Drawing upon international best practice, implementing this approach was not without its challenges, and I did make a few mistakes along the way. Drawing upon teacher feedback, and my own experimentation with a play-based approach to iPad integration in K-3, I have realised that there is a need for a few phonics/literacy game / skill development apps in the early years – provided those apps are limited in number, sourced from high-quality educational providers, and support the classroom literacy approach. While I have had considerable success in ICT classes with developing students’ skills with more creative iPad apps, such as Book Creator, Play School Art Maker, DoodleBuddy. Strip Design, and Puppet Pals Directors’ Pass (which I will introduce next week), the classroom integration of these tools will be a focus for 2015. One key lesson I learnt from this rollout is that pushing out the same set of apps onto Kindergarten to Year 3 iPads is not particularly helpful. There is a need to adjust the apps provided for various year levels, as well as a need to remove unnecessary duplication. For example, DoodleBuddy is a fantastic drawing tool for EC, while renders the more complicated SketchBook Lite unnecessary. Similarly, while I would happily use HaikuDeck from Year 1 upwards, there is no point in having it on Kindy and PP devices. In addition, it pays to check that the Lite versions of apps (such as Puppet Pals HD, Spelling City, Reading Eggs) are actually useful prior to putting them onto all the devices. Sometimes, as we discovered with Puppet Pals, it genuinely pays to purchase the full version, while the others require a paid subscription. One other important issue that we confronted during our rollout was negotiating and communicating procedures for classroom teachers to request and purchase iPad apps. Both my administration and I take the view that app selection and purchasing needs to be carefully managed to ensure that selected apps are of educational value – beyond skill and drill games. As the procedures currently stand, classroom teachers are able to request apps for their classes / year level on a Term by Term basis, and purchases of paid apps are charged to classroom budgets. While we’ve had a few hurdles, the system seems to be working well, and will be refined in 2015. I have been pleasantly surprised with how my Pre-Primary and Year 1 students have learnt how to save their work, and download photos (with guidance) from their class Dropbox account. As part of the iPad rollout, I set up Gmail addresses and Dropbox accounts for each year level, using the Carousel app to get an additional 3GB space. While I had to individually input these accounts on every device, teaching students about the cloud has been invaluable.We may switch to Google Drive next year, but for now at least, Dropbox is my preferred, simple solution for sharing classroom photos for student use, and collecting work from devices. When I first started in this role, I strongly emphasised a play-based / discovery approach to teaching students how to use creative iPad apps. Drawing upon collegial advice and feedback, and my own observations, I am realising that there is a need to balance the play-based approach with explicit teaching and guided demonstrations, especially for the more complicated app workflows, such as Dropbox and Explain Evrything. One very valuable suggestion, which I will work on next year, is providing students with simple instructions (either screenshots / video) which they can refer to as they work on iPad projects. My initial thinking is we could put these in Google Docs, and teach students how to access them via QR code … and if at all possible, I’d like to employ some Year 6 students to create them … We will see. 6) Classroom iPad integration requires ongoing professional support, beyond one off workshops. I am lucky enough to be in a school which can employ me as a part-time ICT integrator, currently for half a day a week. With this extra time, I have been able to work alongside four teachers to support their integration of ICT, in addition to those who have regularly given up their DOTT time to join my ICT lessons. Over the past few months, I’ve learnt a great deal about collaboration and coaching; learning from my mistakes, and celebrating some huge milestone achievements – such as running a book trailer project & introducing Mystery Skype in Year 3, and supporting teachers’ involvement in the Travelling Teddy Project. These sessions have been invaluable in that they have allowed me to help build teachers’ confidence and understanding of how to integrate iPads into their classroom teaching, while helping me develop my collaborative teaching skills & own professional learning. The greatest lesson I’ve drawn from this experience; however, is that while traditional workshop / professional development days are fantastic for introducing teachers to ICT and iPad integration, it takes time and ongoing support for teachers to build their confidence and skills. Developing teachers’ ICT skills is not a straightforward process, and there is no ‘one-size-fits-all’ solution. If you’re preparing or planning to implement an iPad program, it is vital that you build in some form of professional support – through Techie Brekkies, or providing time for teachers to join the ICT teacher for a Term’s ICT lessons. I am extremely grateful that my school has appreciated the value of this approach, and I’ve certainly enjoyed the challenge. In comparison to many other schools, our iPad program is relatively small, and most definitely in its’ infancy. We’ve made significant strides in the first few months, and I am looking forward to continue our iPad journey in 2015. This coming weekend marks World Water Day 2014, held on March 22 each year, and it promises to be a rather ‘wet’ weekend. For the past three years, the WWD LinoIt Project has given students around the world the opportunity to share their thoughts, photos, and experiences of water conservation with the wider world. This year’s project will run from March 19-25, and will be jointly hosted by Class 5, from School 1302 in Moscow, Russia and Robyn Thiessen’s Grade 4/5 class in Canada. We are also looking forward to working with Project Purus, who are fundraising to provide clean water for school children in Nepal. Please bookmark the 2014 LinoIt and share with your class using this link – http://bit.ly/worldwaterday2014. I’m hoping to smash the country participation and audience count this year, so please feel free to share this with your networks! Halfway through last year, a Twitter conversation with @suewaters raised the prospect of building the Western Australian online teacher community, with the goal of running our own professional development through unconferences led by educators, for educators. (There is a BIG event in the works, more details coming here soon). One of the key issues raised out of our early discussions was our difficulty in finding local Twitter teachers,and the need for a specific Western Australian education Twitter hashtag. At the time we only knew of around 10 people, but with the recent efforts of @LouCimetta in the Catholic Education school system, there are now more than a 100 Twitter teachers here in the West. In what we believe is the first step of a long journey, we are launching the #WApln Twitter hashtag. This is intended to be a universal Western Australian education hashtag – we welcome contributors from primary, secondary, and adult education – across the government AND private sectors, and in metropolitan AND rural areas. 1) Tag your tweets with the #WApln hashtag, and add it to your Twitter client (Hootsuite, Twitterific, Tweetdeck). 2) Subscribe to @mgraffin’s WA Educator’s Twitter list – instantly follow 100+ local educators! 3) Please help spread the word – through your blogs, school communities, and Twitter networks! Last week, the #Slide2Learn Conference hit Western Australia for the first time. Normally, teacher-run ICT / mobile learning conferences such as these pass us by, but I’m really grateful that this one didn’t! #slide2learn was an opportunity for early adopters, ICT leaders, and keen life-long learners to help each-other stand on top of the hill, looking towards and planning for a future where concepts of ‘mobile learning’ and ’21st century skills” are obsolete, and just called “learning”. Like many others at the conference, we believe that ICT and mobile devices are tools which can, and should be invisibly integrated into the teaching and learning process. We’re not interested in promoting the “next great revolutionary device” … we’re interested in promoting and supporting LEARNING through technology. We came together with different skills, perspectives, and philosophies – but #slide2learn gave us the chance to connect, and make our voices heard – as we move towards the top of the hill … together. Build & develop my professional networks through meetings and conversations with so many wonderful teachers, including many online collaborators I was meeting f2f for the very first time. Discover the language and resources to define my philosophy of teaching and learning … I learnt a great deal about “Challenge Based Learning” from the Apple rep. and @janeinjava. Develop my skills and professional knowledge in relation to iPad VPP management, Augmented Reality, and use of iPads in Early Childhood. Launch the #WApln twitter hashtag (more info coming), and commence discussions with @JASONDARGENT and others about a TEDx ED Perth event in 2014. 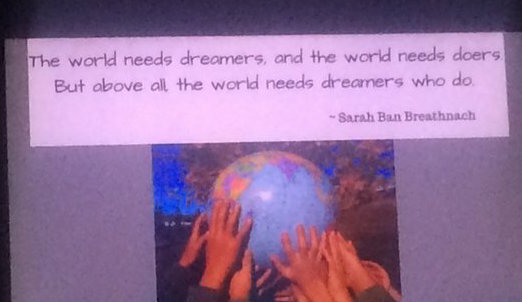 Fit into a community of teachers who share my ideas, goals, and dreams for the seamless, and ultimately invisible integration of iOS devices into teaching and learning. On a personal note, I am extremely grateful for @LouCimetta, who gave me the push I needed to come to #slide2learn. Lou, your support and advice is always greatly appreciated, and I hope to work more closely with you over the years to come. Congratulations go to the AMAZING #slide2learn team, who pulled off an incredibly rich, diverse, and valuable learning experience. Congratulations also go to @KerryMuste and @AmieMeyer4, two amazing fellow West Australian teachers who presented at #slide2learn. And thanks to all those wonderful people that I was able to meet f2f for the first time … there are too many to list, but you know who you are.